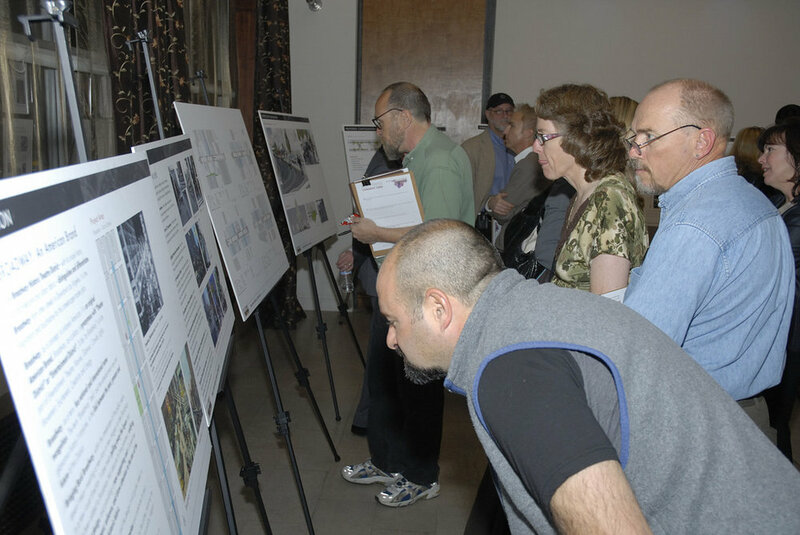 Broadway pilot streetscape "dress reharsal"
After completing the Broadway Streetscape Master Plan with the CRA/LA and Bringing Back Broadway, while at previous firm, our team was re-engaged by the City of Los Angeles, this time by the Department of Transportation (LADOT) to design a ‘dress-rehearsal’ to test out the ideas presented in the Master Plan for a main stretch of Broadway in Downtown Los Angeles. 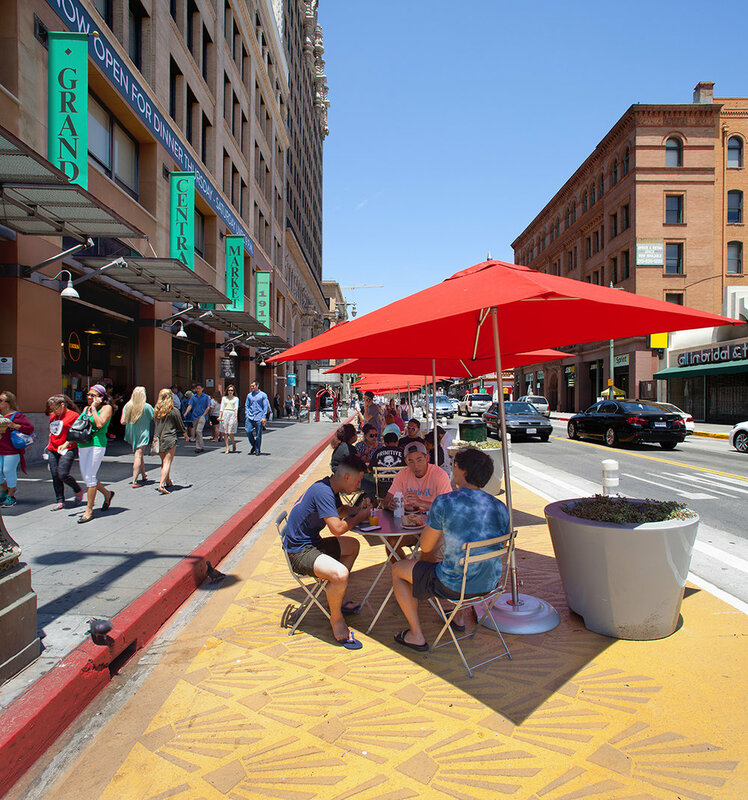 For the pilot install, we designed sidewalk extensions delineated from the roadway with planters, bollards, and special paving - with a pattern inspired by the Deco theater character of the street. 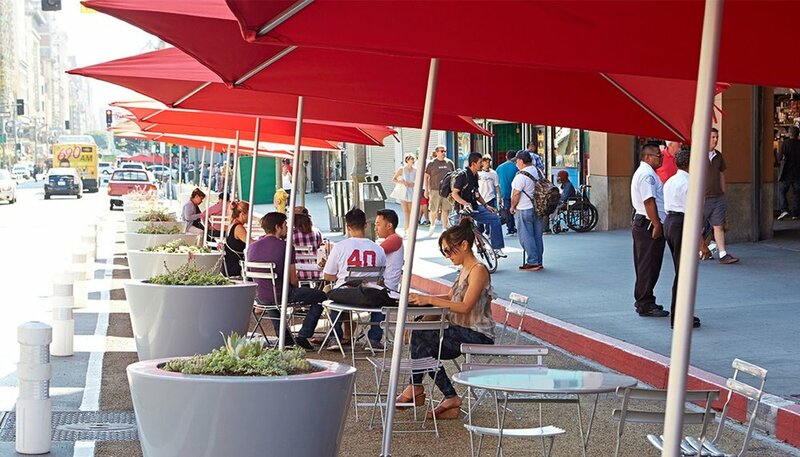 Street furniture such as tables, chairs, and bicycle parking helps to enliven the space. We were also asked by LADOT to put together a recommended furniture and materials palette for use by the wider City’s People St program. Project completed while at previous firm.